Your trip is set, you have your pet crate ready to go, bags packed, pets ready, what else do you need? How about a disposable litter tray that can fit into your suitcase? 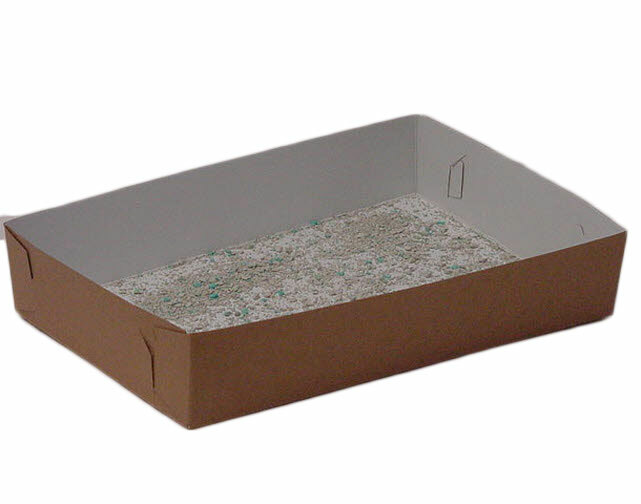 We know offer a disposable litter tray or pan for your pets comfort during a lay over or at your final destination. Made of heavy board construction and come in two sizes. Light weight but with plastic coated liner that prevents leakage and provides rigidness for safe handling. 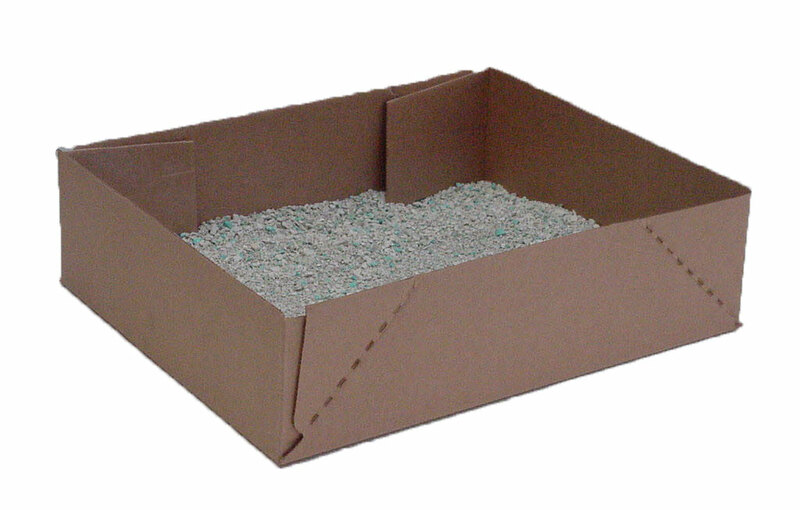 An inexpensive and practical litter tray that is great for temporary use before you get settled or waiting for your next flight. These trays come flat. Simply fold up the sides and insert tab into slot. Fold tabs over to help secure corners. A special coating has been applied to the interior for moisture resistance. Recommend folding white side in. Brown with a light wax coated interior that just "pops-up"
Perfect for Kittens, Cats and even small dogs. These foam balls are hours of fun. Bright Colors!